Launched over a year ago, Carhood joins the carsharing industry by offering customers free airport parking and a car wash in return for their vehicles being rented to other Carhood members. Steve Johnson and Christian Schafer started the carsharing service to help change the airport parking industry. Melbourne Airport makes over $85 million a year in airport parking fees while Sydney makes over $120 million a year, according to Carhood. Customers can expect to pay up to $60 a day for parking. Depicted as AirBnB for cars, your car is made available to someone else while it’s parked at the airport. If your car is rented, you can make 25% of the rental earnings. For an extended trip 30 days or greater, Carhood will guarantee you $250, even if the car isn’t rented, according to the company. Renters also benefit from a larger range of vehicle types available for less than the cost of a traditional rental company. According to Carhood, its prices are 25% cheaper than the big four rental companies on similar vehicles. 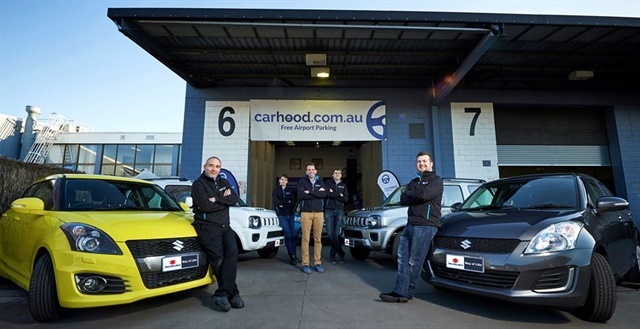 Currently, Carhood is operating at the airports in Melbourne and Brisbane and plans to launch in Sydney. For more information, visit www.carhood.com.au.